Silfra Fissure at Thingvellir is, understandably, very popular with divers and snorkelers from all over the world. The location of Silfra is quite miraculous in itself, situated between two continental plates making it a totally unique diving and snorkeling site. 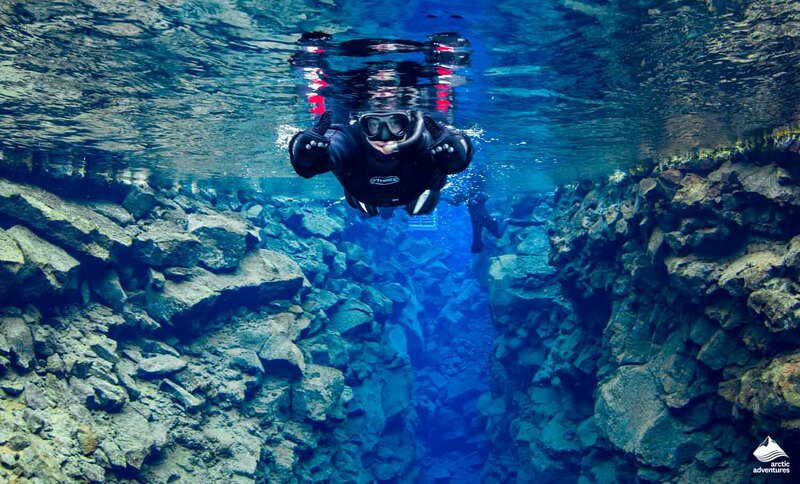 In fact, Silfra is the only place in the world offering the opportunity to dive or snorkel in between tectonic plates. The continental plates continue to move apart from one another at a rate of approximately 2 cm each year – so the fissure is also constantly growing wider. Amazingly, there are places within Silfra where it is possible to touch the rock on either side. The underwater visibility is incredibly clear, offering an experience which it is very hard to match. It is possible to see up to 100 meters, giving you incredible views of this stunning underwater wonderland – this is something you really have to experience to believe. The water in Silfra is astonishingly clear because it is glacial water from a nearby glacier, Langjökull. It takes between 50 and 100 years for the water to reach Silfra. The low all year round water temperature of 2°C-4°C provides snorkeling and diving conditions which are fairly constant throughout the year. We offer snorkeling tours with a pick-up in Reykjavik and a meet on location option at Thingvellir National Park. An astonishing day to see the diverse attractions that Iceland has to offer along with a mesmerizing snorkel in the purest of waters that Silfra has to offer. Bringing the day to a close get ready to soak in the warm waters of the Blue Lagoon. 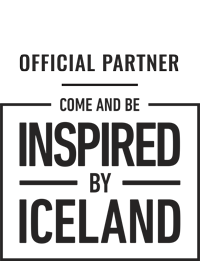 Join us on this once in a lifetime opportunity to search for whales and swim the turquoise waters of the Silfra Fissure in the clearest water on earth. This is the only place on earth where you can swim between the North American and Eurasian tectonic plates! Snorkel in the clearest water on earth & relax in a natural hot spring. Trot, gallop, and tölt through a volcanic moonscape, then explore an underwater canyon between continental plates! Snorkeling in Iceland seems weird, it is something many people couldn’t imagine that exists. However, it is actually becoming one of the most popular tours to do here. Indeed, there is one place in Iceland where one can snorkel in the clearest water between two continental plates: the Silfra fissure. 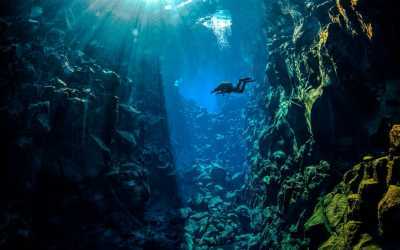 Recently, Silfra was ranked #15 on the World’s Best Dive Sites by CNN News. A snorkeling tour into this natural wonder truly is an unforgettable experience. There is no need for special diving certification to snorkel in Silfra. Going on a snorkeling trip is the best way to have a great time in the water and to enjoy a visit to Thingvellir National Park, which is where Silfra lies. How was the Silfra fissure created? About 150 million years ago, the tectonic plates started moving apart while lava was pushing out from underneath Earth’s crust and flowing out in the Atlantic Ocean. As the water was cold, the lava solidified as another continuous flow of magma from the heart of the Earth pushes the hard lava higher, forming the Mid-Atlantic Ridge and later on, the island of Iceland. Iceland is divided by the Mid-Atlantic Ridge, some parts of the country are on the North American plate while others are located on the Eurasian plate. It is the only country in the world where this rift happens to be above the sea level. The Mid-Atlantic Ridge can clearly be seen in Thingvellir National park, with the Almannagjá canyon. The huge rocky walls, which actually are the edges of the tectonic plates, rise up high from the ground. The continental plates are still moving apart by approximately 2 centimeters (1 inch) per year. 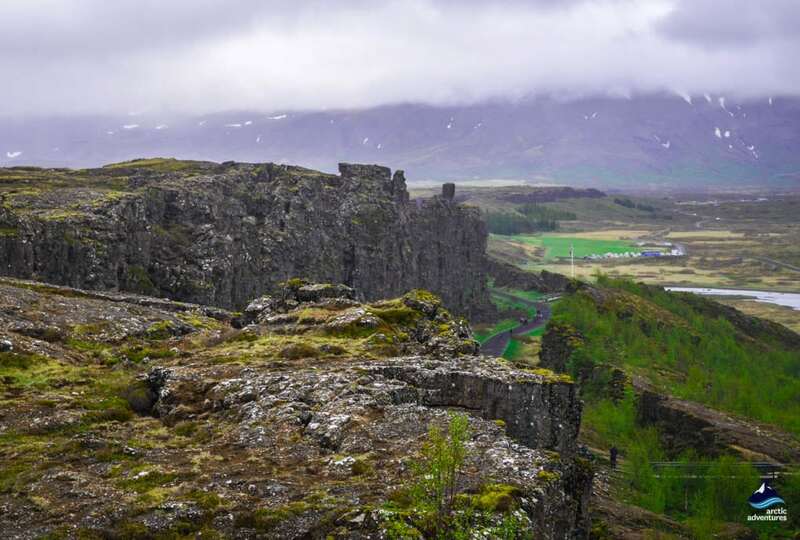 Over the past 10,000 years, Thingvellir Rift Valley has gained 70 meters (230 feet) width and 40 meters (131 feet) depth. 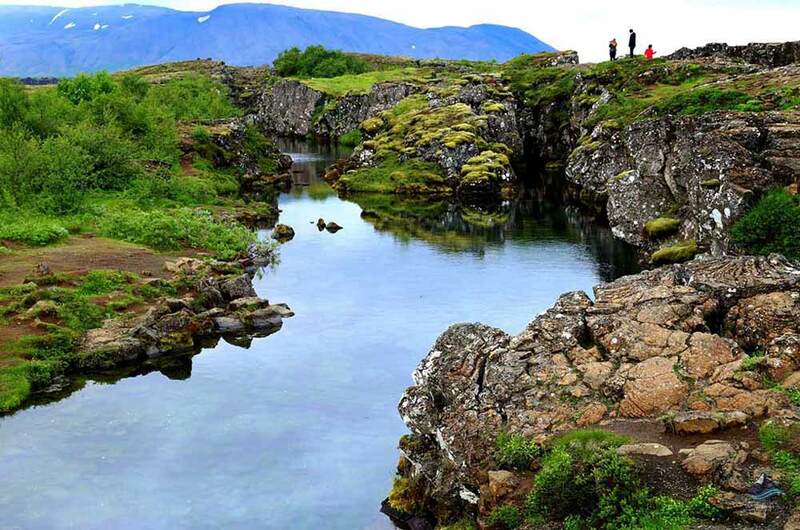 Many fissures including Silfra opened up in 1789 due to earthquakes along with the divergent movement of the plates. Since then, many changes have occurred in Silfra with each earthquake results in rocks falling into the crack and collapsing. They can get stuck in narrow sections with other rocks falling on top, thus creating tunnels and caverns and changing the depth of the fissure. The big difference between Silfra and other fissure is that when it cracked open the land, it cut into an underground spring filled with glacial meltwater coming from Langjökull glacier. Why is everyone so crazy about snorkeling in a cold country like Iceland? Simply because Silfra is the only place in the world where it is possible to swim in the Mid-Atlantic Ridge, the meeting point between the Eurasian and the North American tectonic plates. Snorkeling between two continents is something that can only be done in Iceland. Of course, the ridge goes all the way through the Atlantic Ocean, but the gap is too deep elsewhere to consider diving in. If Silfra is not on your bucket list yet, we strongly recommend to add it and check it right away with one of our tours! The amazingly mesmerizing experience of snorkeling in Silfra combines a unique location and the clearest water on Earth. As Silfra is located right at the core between the two tectonic plates, it is a truly “living” dive site. This means that the environment is constantly changing, making each snorkeling tour totally unique. The sensations while drifting slowly with the current are unspeakable. The place is a true gem, full of serenity for a perfect meditation. 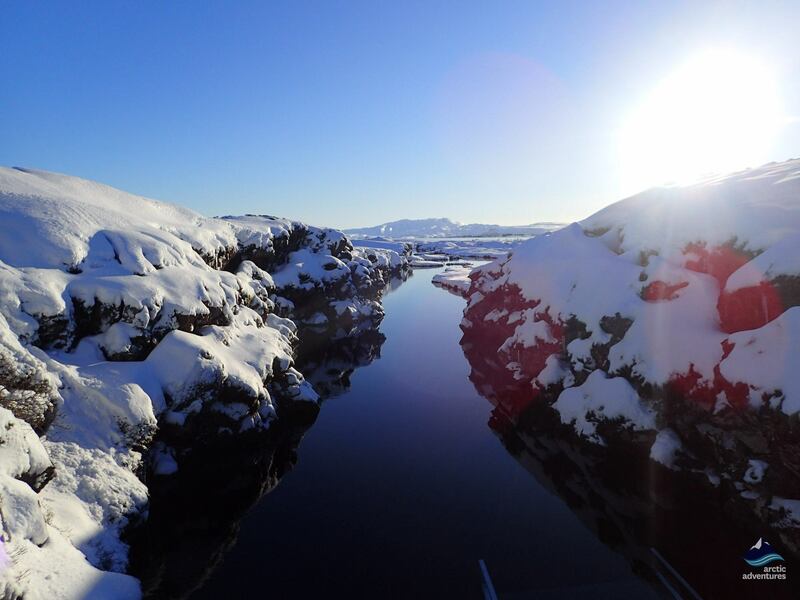 Though there are no wildlife in the fissure, it is possible to meet a fish from time to time, but it will quickly turn around and go back to Þingvallavatn lake, far away from the glacial water. Some plants such as green and yellow algae are growing on the rocks and floating in the water. Swimming between two continents, in glacier water is the real Viking rite of passage. 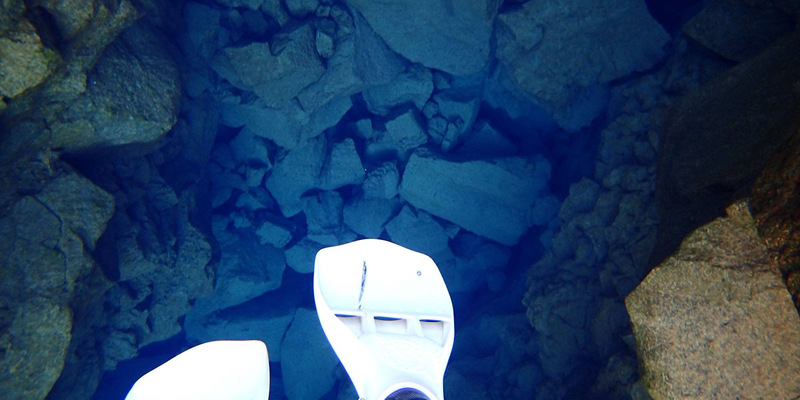 Why is the water in Silfra so clear? Silfra has the clearest water on Earth, with a visibility of 100 meters (328 feet), even up to 150 meters (492 feet) on sunny days. It is a once in a lifetime experience to swim at Silfra. Thanks to the high visibility, there is no need to dive to be able to see the bottom of the fissure, a snorkeling tour will do it. 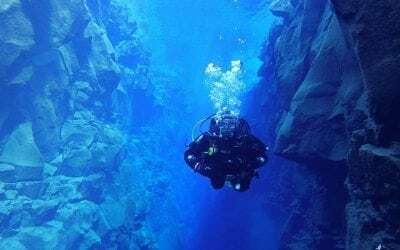 Silfra has the best water visibility in the world because its pure water is filtered through porous underground lava for 30 to 100 years, before reaching the spring that feeds the fissure. The constant filtering by the lava rock makes the water coming from Langjökull glacier not only one of the clearest but also one of the purest. The water is so pure that it is even suggested that the snorkelers taste it while they are swimming in the fissure. The glacial meltwater coming from Langjökull glacier remains very cold in Silfra. However, as fresh water is continually filling up the fissure, the water does not freeze and stays around 2 to 4°C (36 to 39°F) all year round. Langjökull, the “Long Glacier” is only about 50 kilometers (31 miles) away from Silfra, the water will be filtered for up to 100 years before finally arriving at the fissure. There is no need to worry about the cold as overalls and dry suits are provided during the tours. Everyone will stay mostly dry underneath the suit if they don’t move too much inside the water. Hands and faces will be wet, but the neoprene protections are made to keep people warm in the cold water. The refreshing waters of Silfra are perfect for a good start in the day or also to wake up if one is feeling a bit sleepy. There are several daily snorkeling tours at Silfra to discover the wonders of the fissure from the inside. Have a closer look to the colorful algae in the clearest water on the planet. The underwater world of Silfra has a lot to offer! From the surface, it doesn’t look like a whole different magical world, but as soon as one gets into the water, it is hard to get back to reality. 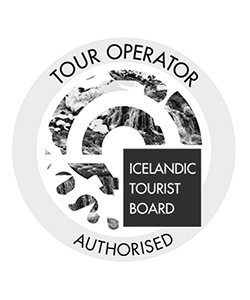 The day tour will begin by the pick up in Reykjavík, or directly at Silfra, in Þingvellir, for those who already are on location. The parking lot has been turned into a suiting area, where the guides will provide the snorkelers with an overall, a dry suit and other special gear such as a hood, gloves and a choker to make sure the water doesn’t go inside the suit via the neck. It is a bit hard to get equipped alone, but our guides are always here to help. For the ultimate comfort, it is recommended to wear fleece or wool thermals and socks under the suit. The dry suits are specially made to float on the surface of the water, it is really hard to get underwater as there is air inside. It will also keep the body warm and in most cases dry. However, the hands and the head are protected by neoprene, which is made to heat the water that gets trapped into it. A diving mask, flippers and a snorkel will also be given. Then, a briefing will be done so that everyone understands what to do and how to behave in the water, but also some important information to know about Silfra. The big moment has come: everyone in the water! For the first few minutes, it will be a little hard with the cold water brushing against the face and the hands but those parts will become numb for the rest of the journey, it is just a matter of getting used to it. The tour will last for about 30 to 40 minutes as the guide will show around the four main parts of Silfra: Big Crack, Silfra Hall, Silfra Cathedral and Silfra Lagoon. 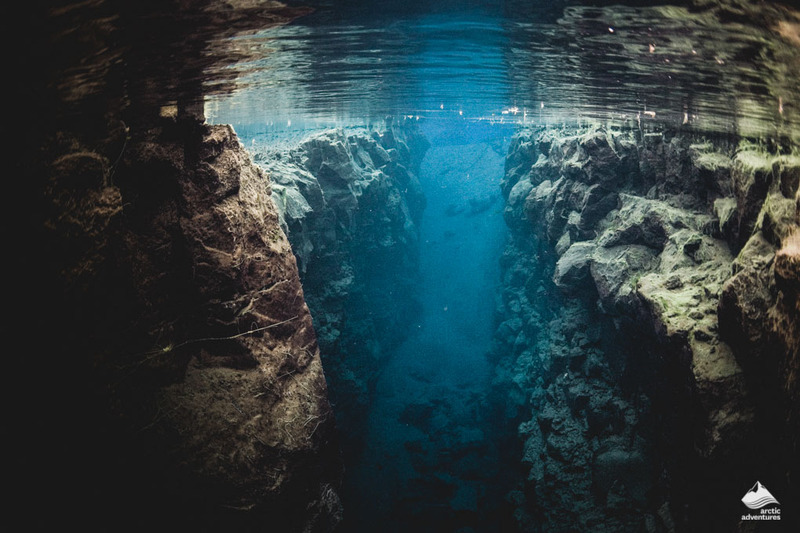 First, Big Crack is Silfra’s narrowest section, where the continental plates are so close that it is almost possible to touch them both at the same time. Then, Silfra Hall is where the bright colors and the clarity inside the fissure can truly be seen. It is also possible to see lake Thingvallavatn, which is 150 meters (492 feet) away from here. Silfra Cathedral reaches a depth of 23 meters (75 feet). There, it really feels like flying above the magnificent landscape of the fissure. The snorkel ends into Silfra Lagoon, where it is possible to stay a bit and swim around in the clear water to discover the surroundings. Back on the surface of the Earth, a hot chocolate and cookies are offered to get warm. To make the most out of your trip to Iceland, the snorkeling tour can also be combined with other activities such as horse riding or lava caving, or also with sightseeing such as the Golden Circle. For those who already have a dry suit certification, it is possible to scuba dive in the cold waters of Silfra. It is always a good idea to bring some spare clothes, including socks, to change after the snorkel. 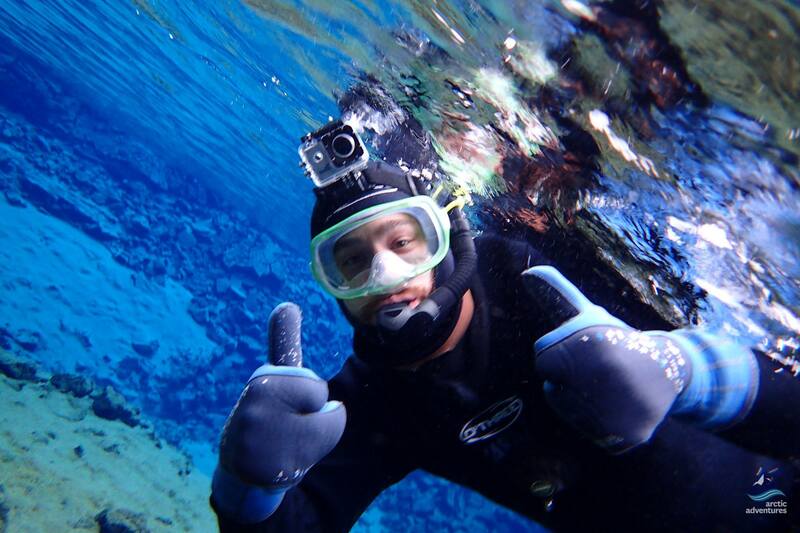 Underwater pictures are taken by our friendly guides during the tour so it is not necessary to bring a waterproof camera. For a small fee, all the pictures of the day will be sent by mail, including the ones from other guides to be sure to have the best landscape picture of the day. For those who are wearing glasses, it is not possible to keep them during the snorkel as a diving mask is necessary. There are two options: buying a special mask with a prescription or wearing contact lenses. The best way to keep warm hands is to not move them too much inside the water. Indeed, it is recommended to let them float beside the body and not using them to swim. The goal is to limit the amount of water getting into the gloves so that the temperature of the water that is trapped into them can rise slowly. Snorkeling in Silfra is locally known to be the ideal hangover cure, thanks to its refreshing waters. 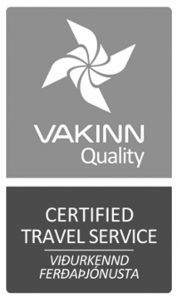 Meeting on location or joining a combined tour with the Golden Circle allows for a visit the beautiful Thingvellir National Park and the locations around. The Golden Circle is the most popular tourist route along with the South Coast. The main difference between a dry suit and a wetsuit is that the dry suit will keep you dry, it is as simple as that. Dry suits are perfect for cold waters as wetsuits are more common in warm countries. Þingvallavatn lake (or Thingvallavatn), means “Lake of the Parliament”. It is the largest natural lake in Iceland, at about 84 square kilometers (52 square miles) and 100 meters (328 feet) above the sea level. At its deepest point, the lake is 114 meters (374 feet), meaning that it actually reaches below the sea level. The lake has one outflow which is the river Sog. 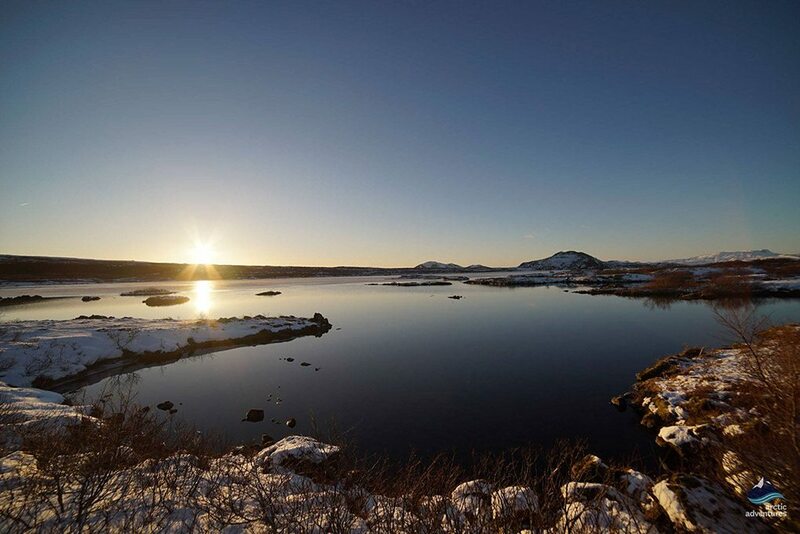 Thingvallavatn is partially located within the boundaries of Thingvellir National Park. It is home to Arctic Chars, which are the perfect example of species that can adapt and evolve to a remote environment. Ten thousand years ago, there was just one species of char, now there are 4 different subspecies. The lake also hosts brown trouts and the three-spined stickleback. An ancient Icelandic proverb says “Fertile is the water that runs under lava”. This saying cannot be more appropriate than for Lake Thingvallavatn, as it is particularly fertile and so rich in vegetation despite the cold temperatures. A third of the lake bottom is covered by vegetation, including a majority of algae. There is a total of 150 types of plants and 50 kinds of invertebrates. Thingvellir is Iceland’s largest national park and is part of UNESCO World Heritage Sites. In addition to being incredibly beautiful, Þingvellir is also remarkable geologically. As it is located right on the Mid-Atlantic Ridge, Thingvellir is one of the only places on Earth where it is possible to look at both Eurasian and North American tectonic plates risen up from the ground. The park is the place to be to walk in a no man’s land, between two continents, in the meeting place of the two tectonic plates. The valley in between the two plates is called the rift valley. Thingvellir is also an important historical place. It is where Icelanders started the first democratically elected Parliament established in the whole world, the Alþingi in 930 AD. Thingvellir literally means “the Parliament Plains”. 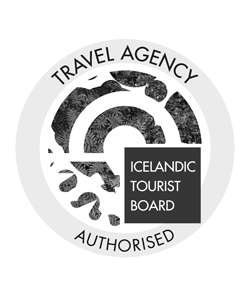 Back in time, Icelanders used to travel by foot or by horse to meet at Thingvellir and hear the latest laws and judgments. There are many hiking trails around the National Park, but the most famous path is Almannagjá gorge which is a sacred place. It is the exact location that the first settlers chose for their national assembly. The decision to revert the whole country to Christianity and abolish paganism was made in this same place. The Icelandic people also celebrated its sovereignty and independence there. Almannagjá marks the eastern boundary of the North American continental plate. Stepping where the Vikings did once is amazing, but there are some dark parts in their history. Indeed, in the 16th and 17th century, the beautiful place by the bridge crossing Öxara river was a place of punishment. Women convicted of adultery were drowned in Drekkingarhylur, which can be literally translated as the Drowning Deep Pool. It is estimated that 18 women were drowned here. For a moment, I stop breathing. Not from fear, but from pure awe and wonder. I am experiencing a blend of deep serenity and insane euphoria. The colors, the sounds, the thoughts and the feelings are more intense and deeper. My imagination takes me on beautiful journeys. Here are 6 things that make snorkeling in Iceland one of most magical experiences you will ever have.